Organized and co-sponsored speech by Consul General Akiva Tor. Together with Hillel of Silicon Valley the students hosted the Consul General in an effort to educate the campus on Israel's recent incursion in Gaza. 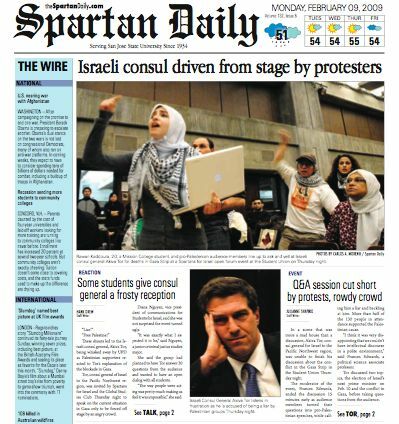 The audience became stacked with anti-Israel students and non students. Mr. Tor was blocked from speaking and had to leave the podium escorted by Campus Police. So much for rights to Free Speech."